SKIN-TEARING PUMPS, NO CAFFEINE. Pumpsurge is a one of a kind scientifically dosed pre workout without caffeine. This unique formula is different from most pre-workouts because it relies exclusively on fully dosed ergogenic boosters and brain enhancing nootropic ingredients. Experience skin-tearing pumps, endless endurance, sharp mental focus, and the ultimate mind muscle connection. HEAVY HITTING NITRIC OXIDE BOOSTER. Explosive muscle pumps are just the beginning. 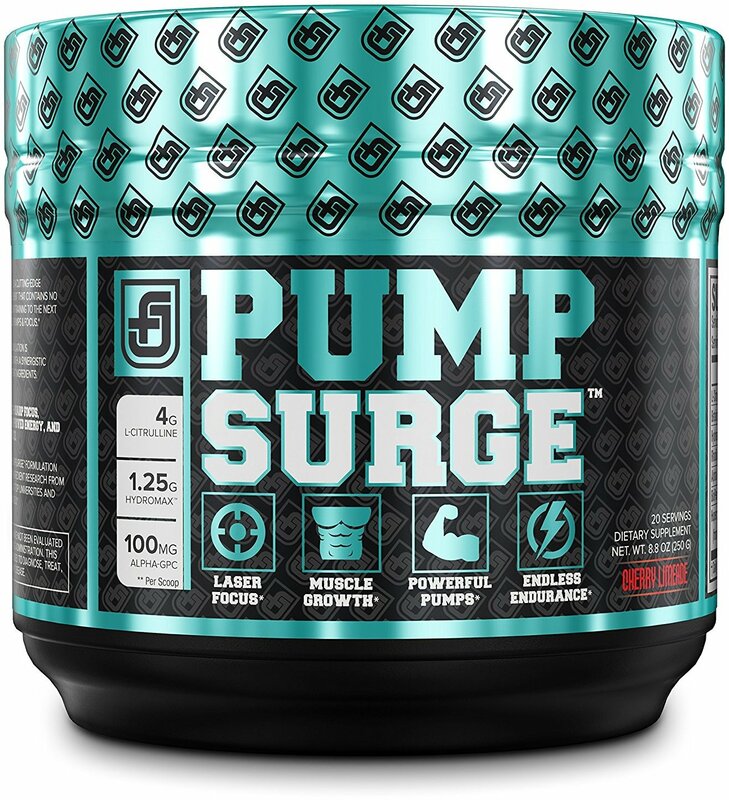 Pumpsurge stimfree preworkout uses cutting-edge ingredients like L-Citrulline, Betaine, & Taurine to boost nitric oxide and enhance blood flow to the muscle during your workouts. This allows for greater nutrient delivery, promoting muscle growth, muscle fullness, and intense vascularity. FULLY TRANSPARENT LABEL: NO PROPRIETARY BLENDS Jacked Factory follows one simple principle: What’s on the label is in the bottle and what’s not on the label isn’t. We don’t ‘dress’ our labels with inferior amounts of bogus ingredients, and we will never hide our formulas behind proprietary blends. All ingredients are fully disclosed on the label, ensuring you know exactly what’s going in your body. The best supplements, the best results. MANUFACTURED IN A USA CGMP FACILITY. All Jacked Factory supplements are manufactured in a state-of-the-art cGMP facility. We guarantee that you are getting the safest and highest quality bodybuilding supplements on the market.We take our customers’ health and results seriously. We will never sacrifice quality. 100% MONEY-BACK GUARANTEE. 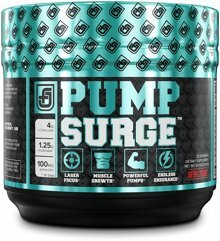 We stand behind PUMPSURGE stim free pre workout for men and women and guarantee your satisfaction. If for any reason you don’t find that PUMPSURGE takes your training & results to the next level than we back it up with a no-questions-asked guarantee: we will work to resolve your concern or arrange for a hassle-free refund.